On April 11, Baruch College hosted its third annual Art-a-Thon, a day during which students were encouraged to participate in arts-related activities spreading across the disciplines. As a part of “Art-a-Thon,” the English department organized a marathon reading of The Great Gatsby by F. Scott Fitzgerald, starting at 10 a.m. on April 11 in the English department. 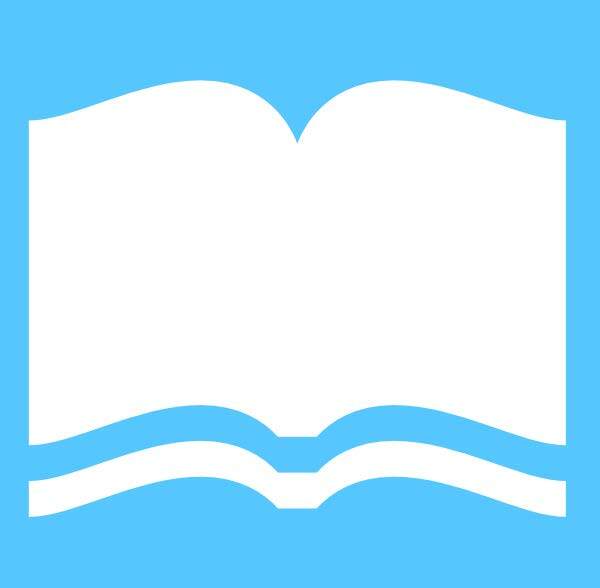 It was the third year of the marathon reading; for the previous years, the books that were chosen for the event were Frankenstein by Mary Shelley and The Hound of the Baskervilles by Sir Arthur Conan Doyle. The reading went on for hours, so that many groups of students and faculty had the chance to come and join in whenever they had free time. The event was held in a “popcorn reading” style, allowing each person in the room to read a few chapters aloud if they wished to do so. Mar Morosse, an art history professor at Baruch College, showcased the ties between Spanish painter Francisco de Goya and modern art during “Art-a-Thon” on April 11. One of the many Goya paintings Morosse showed, “The Third of May 1808,” depicted a row of French soldiers holding multiple Spanish men at gunpoint while they are surrounded by those who have been killed for rebelling. Morosse highlighted the similarity between Goya’s painting and Spanish painter Pablo Picasso’s “Guernica.” While Picasso’s piece is more abstract, the same elements in Goya’s paintings depicting the harsh reality of a country during wartime can be seen. Goya’s paintings carried the element of mystery, leaving the viewers to infer their meanings, and to Morosse that matters the most. “Every time it’s about the connection people have with the work,” Morosse said. “My favorite parts were when she would show the different paintings and connect it to the time period in which Goya painted each [one],” Ching Yu, Baruch freshman and attendee, said about Morosse’s presentation. As part of “Art-a-Thon,” Baruch College professor Linda W. Friedman hosted “The Pen vs. The Sword: Using Humor to Fight Injustice,” teaching attendees about the way humor can be used for social justice. The workshop, which was held during club hours, was one of the more interactive events of the day and included an opportunity for participants to write their own jokes. Since the theme was fighting injustice, Friedman showed students videos of comedians discussing serious topics, such as racism and discrimination, using humor. She said that much of humor comes from anger and can be the case for comedians joking about prejudice. “The purpose of this event to me was to spread the word about this type of humor that I think could be very helpful to people,” Friedman, a professor at the Jewish Studies Center, said. The video clips shown displayed characteristics of humor that were then meant to be emulated by participants when trying to write their own jokes. Characteristics like innovation, observation and exaggeration, to name a few, were discussed and utilized by the attendees. The second annual Baruch College “48-Hour Film Challenge” took place on April 11 at the Engelman Recital Hall. The event concluded the Weissman School of Arts and Sciences' annual “Art-a-Thon,” which was an entire day full of art, music, writing, dance and theater. The Film Challenge screened the best 15 films submitted. To qualify, all films must have been submitted within 48 hours of the “ingredients” — elements that were required to be part of the film — being released. The ingredients chosen for this year were: the number 50, change, more than one language, movement and banana. The filmmakers incorporated the recipe in unique ways and the films varied from humor, to drama, action and even mystery. The event was hosted by Angel Bonilla and sponsored by the Undergraduate Student Government and Baruch’s Performing Arts Center. Three Baruch alumni, having both film and non-film backgrounds, served as judges for the evening. The short films, with their distinctive stories and cinematography techniques, represented the artistic talent and diversity of Baruch students and certainly left the audiences in awe. After a brief intermission, during which the filmmakers had an opportunity to take pictures on the red carpet, congratulate one another and share their journeys to the finalist screening, the much-awaited award ceremony took place. Baruch College’s “Art-A-Thon” marked the creation of impactful and fun erasure poems in room 7-238. The session was hosted by professors Donika Kelly and Diana Hamilton, who engaged students in a lighthearted arts and crafts activity involving the creation of Erasure Poetry — a form of art that takes pieces of texts and transforms them into fun and symbolic poems. “You can see it as an act of resistance to an original text or something that is fun to do,” Hamilton stated. With an array of different books, scissors and markers lining the table, students showcased their creative side by developing authentic pieces of poetry. The day of erasure poems brought about ideas of impactful thought and change. However, the event also taught students to take time and relax in crafting their work, with no pressure. “We can often find inspiration in other people's work, but for what we're doing today, it’s fun because there are a lot of political implications of erasure and redaction,” Kelly said. 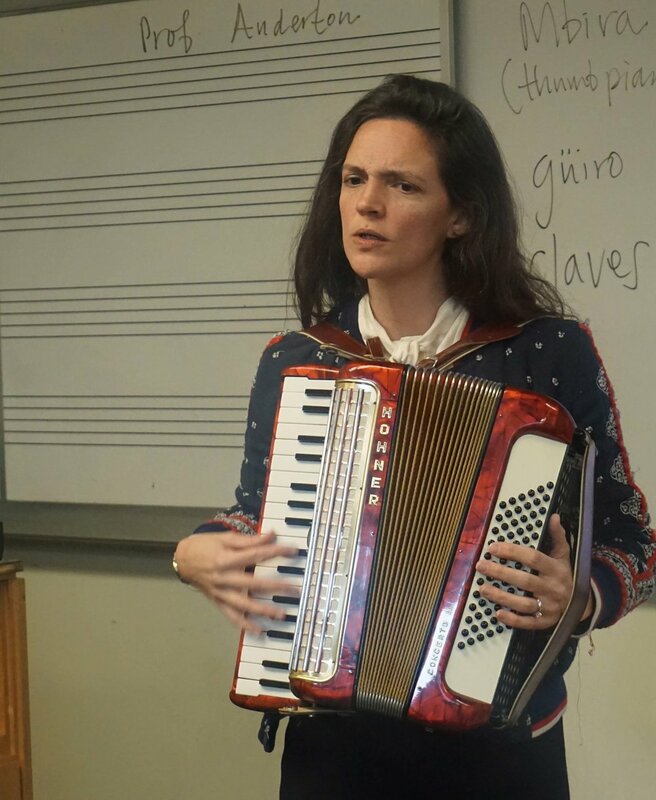 Anderton began the event by retrieving several instruments, including a child-sized accordion that would dwarf most children, musical sticks, bongos and a finger piano. The instruments were passed around the room and the event’s attendees tested them out. Anderton buzzed around the room, playing on the piano, writing music notes on the board and guiding students on crafting their melodies. The melodies were either based on the letters of a student’s name or aspects of a student’s personality. Regardless, the songs that resulted from the event were meant to hold a personal meaning for the students. It was a casual event for students looking to dip their toes into music. 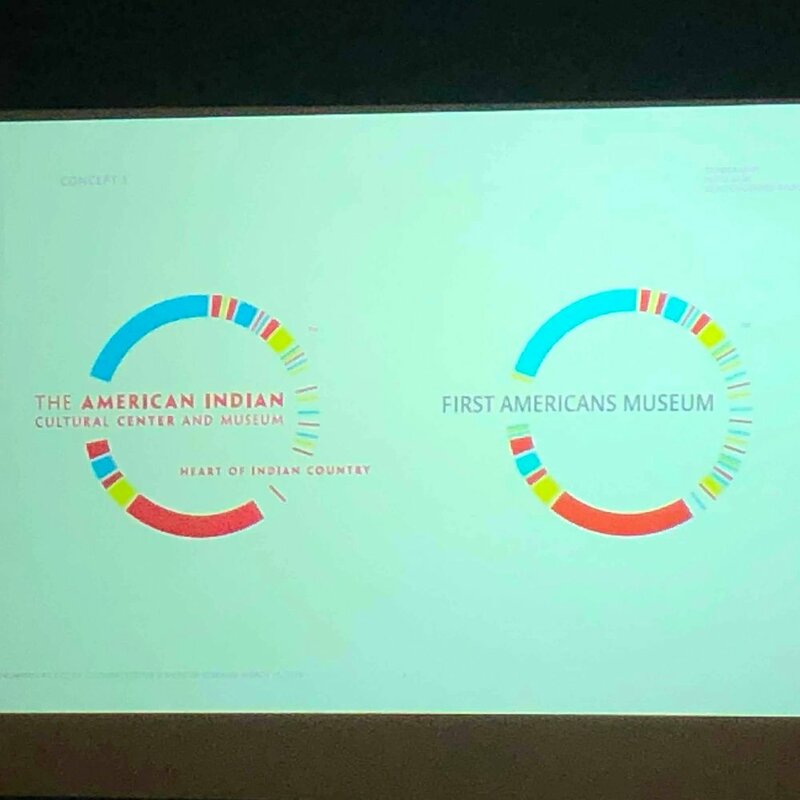 Among the first events that kicked off Baruch College’s annual “Art-a-Thon” was a graphic communication session focusing on assimilation and written Native American language. Professor Joshua Whitehead showcased his typographic research project to students highlighting the artistic and humanistic process in uncovering the language of Native American tribes. Whitehead worked with the American Indian cultural center in Oklahoma City in order to showcase his work. By being a typographer and also being part of the Choctaw tribe in Oklahoma City, he developed a passion that he put in his work. “I am interested in [students] gaining a deeper understanding of how the written language and how typography is especially a vehicle for these preservation efforts,” Whitehead stated. Whitehead explained that the art produced by Native Americans had a “quality in that geometry that was very human,” further discussing the issues of Native American culture and its impact on language to students. “I feel like we all know the basis of Native Americans and what they went through but the professor went in depth on more of the arts and typography with Native Americans,” Baruch junior and business marketing management major Edward Monge said. Arts & Style Editor Benjamin Wallin was not involved in the editing of any "Art-A-Thon" articles due to his participation in the programming.